Hello! So first off sorry about that little break in the posts of these! Time got away from me and so I had to put in something I had saved up! :) Today I have a partial swatch of Holo-day Lights. 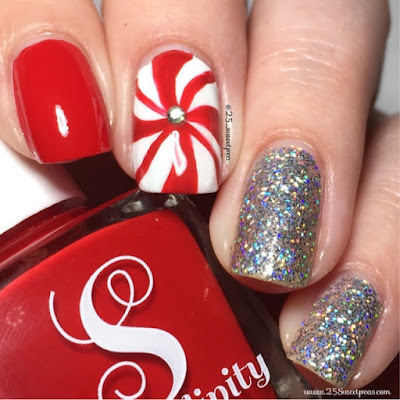 I had forgotten about the Themed Thursday December Sunday Edition Candy Cane theme! So this is what I came up with...at midnight! ;D Lol!! Not sure why I seem to be so behind! So my pinkie and ring have 2 coats of Holo-day Lights and it's so stunning! You can still see a bit of my natural nail up close but really not at all from afar. 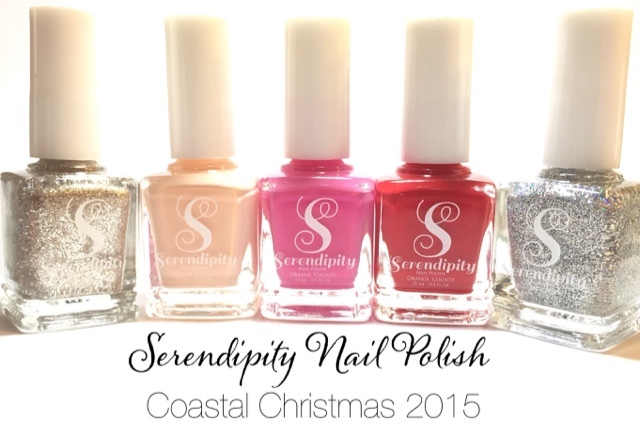 The red is Serendipity Big Red Bow which I fell in love with last week! Check out its full post here. Well I hope you all enjoyed this post very much! 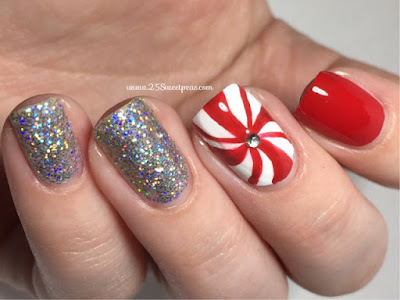 I have to do as mani Christmas Manis as I can this next week! 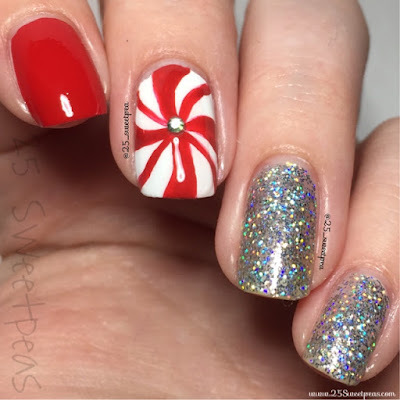 I can't believe Christmas is Friday! I'm almost bummed that it's practically here because I want more time to do holiday nails! It's bittersweet!